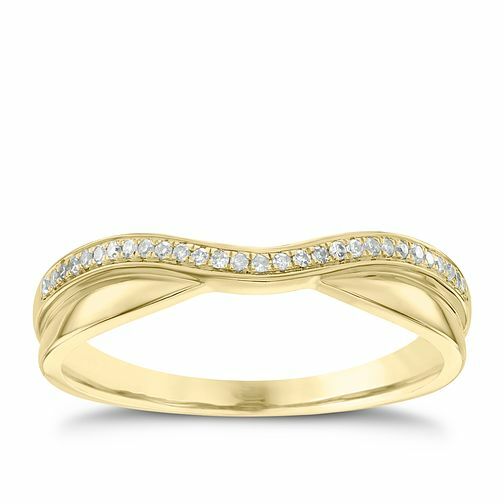 A chic 18ct yellow gold band ring, featuring a curved wave body embellished with shimmering diamonds. A classy and timeless ring, set to symbolise a lifetime spent with your loved one. The total diamond weight of this ring is 0.06ct.